As the professional team at Kuhn Flooring Gallery can tell you, a new floor in your home or office can truly be a work of art. On a larger scale, flooring is the medium used to create many site-specific public art projects around the country. Artist Linda Beaumont has been working with terrazzo on public art projects for over 10 years. For artist Teresa Cox, who was working on her fifth terrazzo floor and designer of Glacial Twist, another award-winning terrazzo floor in the Duluth Entertainment Convention Center, creating a memorable space is always the goal in designing public places. “Public art is a chance to recognize the value and power of spaces,” she explained. Even in large spaces, the partnership of terrazzo and public art can create “an intimate, meaningful, beautiful and profound experience,” she said. Bringing together terrazzo with public art gives the artist the capacity to create spaces distinctive from “anytown USA,” she said, colored by local character and highly accessible to the public. The muted tones and staid reliability of the 100-year-old terrazzo floors still on the job in courthouses around the country have evolved into a medium of translucency and shadows, depth and dimension in the artist’s hands. Wending rivers appearing to cascade down stairs in the Winds & Currents design, for example, take texture and shading from hand-cast glass chips in blues, greens and purples. Greater creativity in the civic environment through today’s terrazzo is one result of what Beaumont calls the “epoxy revolution.” With the same solidity and minimal maintenance of the traditional, more labor-intensive, cement-based terrazzo, epoxy terrazzo has come into its own over the past 15 years. With it have come new generations of varied and vibrant colors and greater design flexibility. 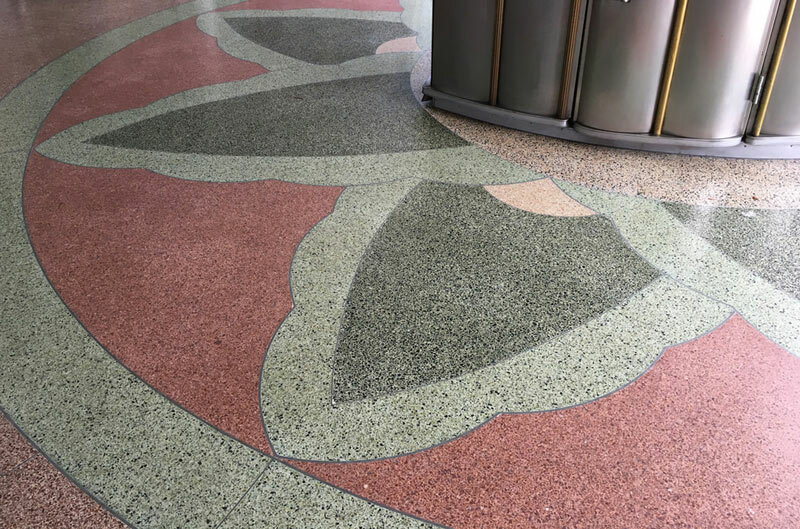 Today’s terrazzo still lasts the lifetime of the building and beyond, yet is now more affordable than its reputation of the past. Of course, many other flooring materials also enable you to make an artistic statement. The professional team at the Boca Raton flooring company Kuhn Flooring will help you realize your vision with their full service flooring options and business flooring solutions. 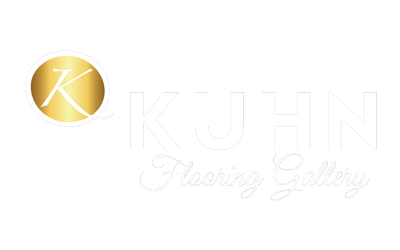 If you can dream it, Kuhn Flooring Gallery can make it come true.